Deep below the deceptively beautiful waters of the Atlantic Ocean, guarded by hundreds of dolphins, lie the astonishing remains of a mysterious lost city much like the legendary Atlantis. While mapping the ancient underwater metropolis of Marinth, marine architect Hannah Bryson makes a shocking discovery: She may have finally uncovered the truth about the once-glorious city’s mysterious demise. Marinth’s sudden disappearance has confounded scientists for years, but now, with the revelation of a key artifact, Hannah realizes that the long-buried city’s explosive secret could have dire consequences for the modern-day world. But she isn’t the only one who realizes it. The artifact is hijacked, and Hannah stands alone between a power-hungry enemy and widespread destruction. Willing to form whatever alliance is necessary to regain control of this potentially world-changing weapon, Hannah joins forces with Nicholas Kirov, a loose cannon from her past who is now her best hope for survival. Together they will race to unravel Marinth’s last great secret in order to prevent a catastrophe of global proportions. And before the lethal game is over, Hannah will realize that nothing and no one is what she expected, not even the dolphins, who know so much more than anyone could imagine. Shadow Zone is fast-paced and cutting edge. 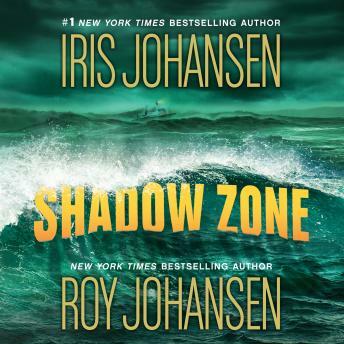 Iris Johansen and Roy Johansen have raised the bar again in this blood-pumping thrill ride.